It’s always a treat to play with LUSH Ltd fragrances and embarrassingly I’ve been sat on these for quite a while! The three fragrances are part of Volume 3 of Gorilla Fragrances which if you’ve yet to experience, firstly you really have to and secondly I reviewed some of the earlier editions here when they launched in 2013. 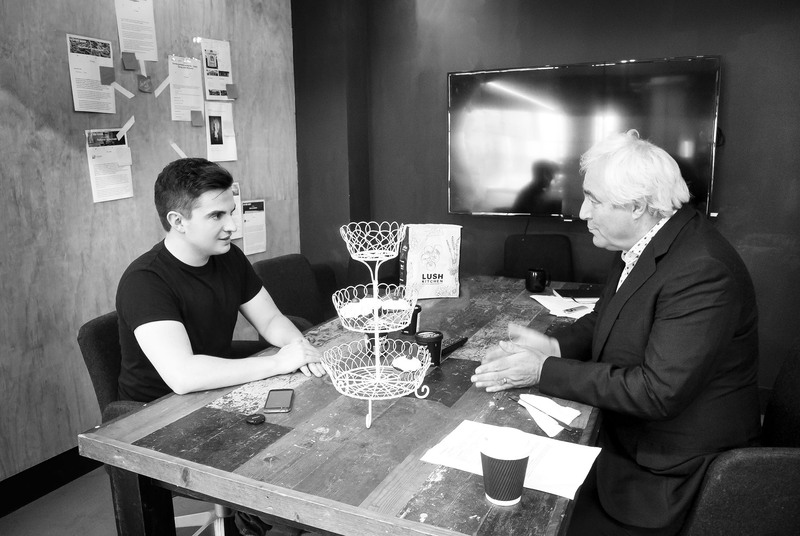 Mark Constantine, the founder of LUSH Ltd, shared the story of Dear John with me on a visit to Poole in Dorset where I was able to enjoy a few moments of his time. 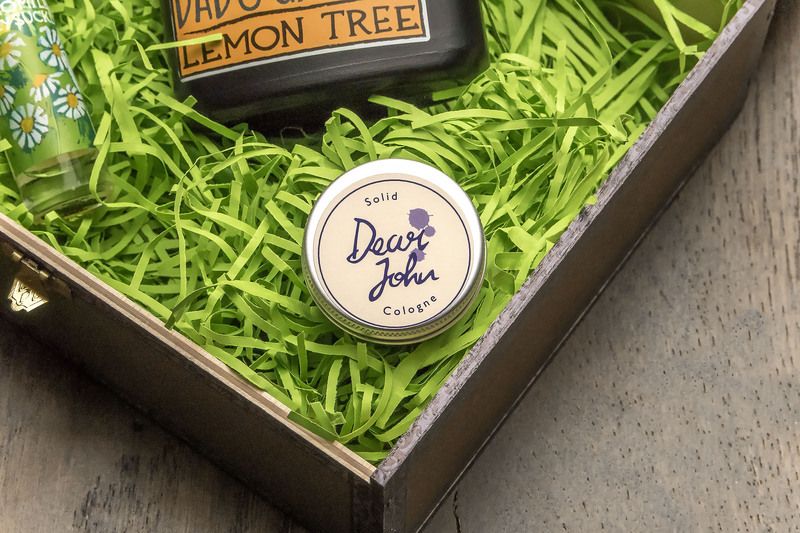 His father, until recently, was estranged and he’d never met him; therefore Dear John was a fragrance imaging of what his dad might smell like with cedarwood, vetivert, clove, coriander, lime and pine. Dear John is very soft, comforting and very calming fragrance. I don’t know why it makes me think about my own late-father for some reason, but Dear John makes me almost teary reminding me of my dad’s smell of cigarette tobacco and his worn leather jacket giving me a hug, picking me up from school on a Friday. Actually both Mark’s and my fathers are both English/South Africans. The two Dad’s Garden fragrances so simple and odd, they’re beautiful, like abstract art “what the hell is that? I love it!”. Mark was luckily able to find his father, still alive, living in South Africa and so took his wife Mo and kids to go and meet him for the first time. 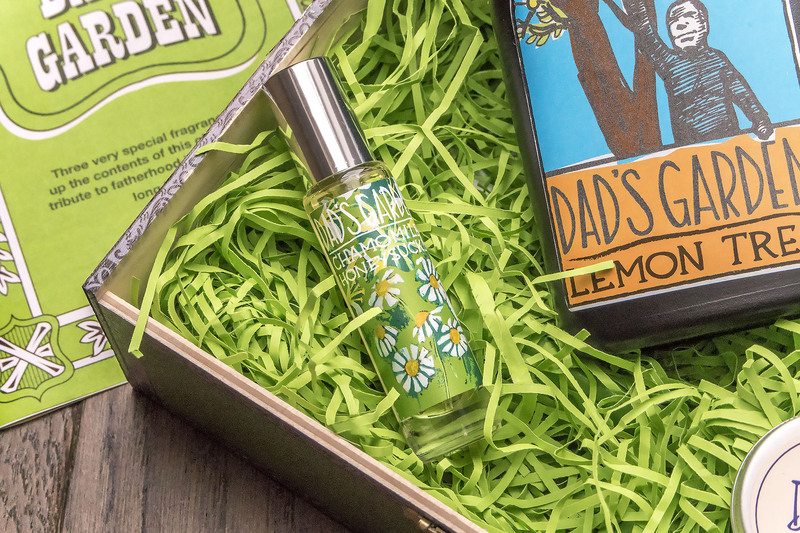 Whilst there, Mark discovered and explored his dad’s garden and from it was inspired to create two happy and joyful signature scents to represent a new relationship with his father, a sequel to the imagined Dear John. Dad’s Garden Lemon Tree is very simple, unisex scent with citruses including lemon and then petitgrain; that’s it. It’s an all over body spray and very energizing at that; you can really get that fresh, zingy lemon like a jug of homemade lemonade. The petitgrain citrus gives it a touch of depth. 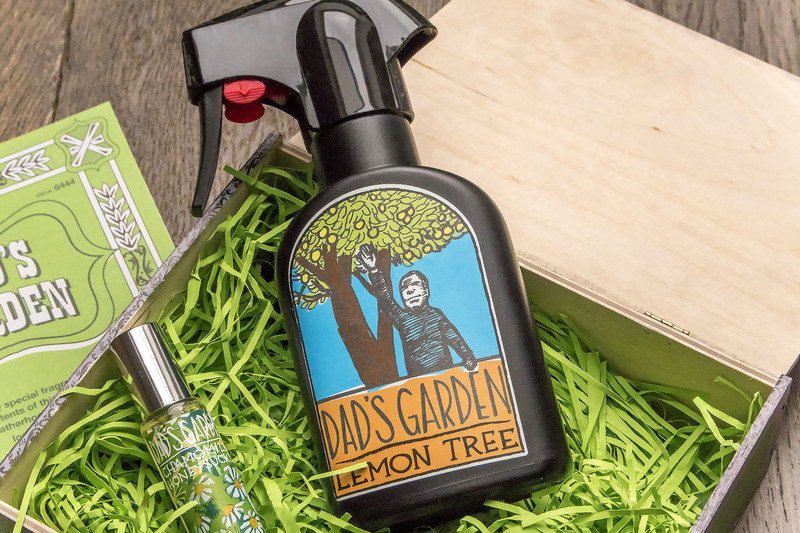 Particularly as it’s packaged as a body spray, I do think this is more of a fragrance base ready for something more complex to be worn over the top; but that’s totally down to your preference I guess and Lemon Tree is definitely something easy to wear! Dad’s Garden Chamomile & Honeysuckle is something definitely more complex and compliments Lemon Tree very, very well. It’s composed of honeysuckle, chamomile, citruses, florals and lavender. Although it’s a unisex scent, I feel it falls slightly more into the feminine, but only a touch – it’s really down towards how you gauge honeysuckle. It softens but throughout the day holds it’s initial composition of mouth-watering sweet, citrus floral. 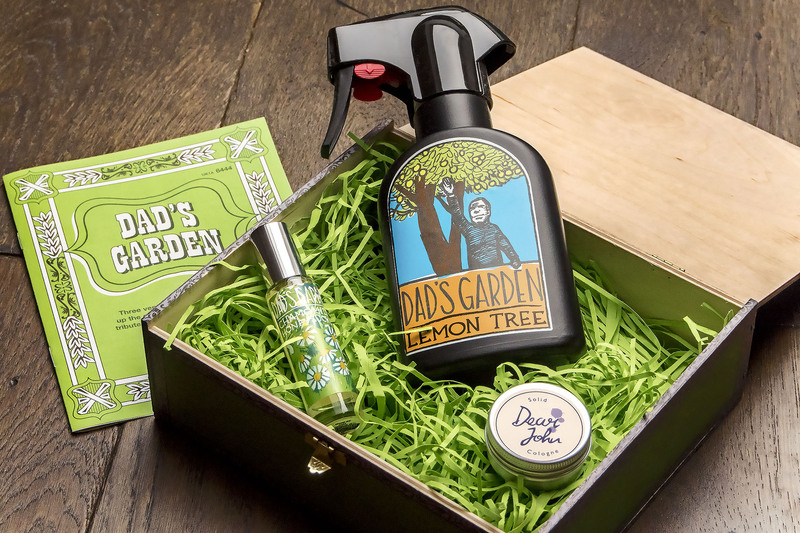 LUSH Ltd Dear John & Dad’s Garden are all available from your nearest LUSH Ltd store or available here from LUSH Ltd online. This article first appeared on MANFACE written by Thom Watson. It was published on Wednesday 24th February 2016 and was last updated on Monday 3rd April 2017 at 1:08pm. It's categorised under Aromatic Fragrance, Citrus Fragrance, Leather Fragrance, LUSH Ltd where you'll find more related content. Going to definitely have to check these guys out when I’m in LUSH next – thanks for the heads up!